The abundant lakes, wetlands and richly productive soil that make up much of Northern Illinois and Grayslake were created about 12,000 years ago with the melting of the Wisconsin glacier. Since that time, various groups of people have settled in the area to work the fertile land and bountiful lakes, marshes and streams. The area's earliest settlers were the Illini and other Native Americans such as Ho-Chunk and Miami tribes. In 1840, William Gray settled in the area, lending his name to the largest lake, Gray's Lake. While some farmers followed suit, the area didn't take off until the Fond du Lac, WI to Chicago, IL railroad passed along Gray's Lake's eastern side. The Wisconsin Central Railroad built the Grayslake station there in 1886, and the settlement incorporated as the Village of Grayslake in 1895. The community's proximity to Chicago and its various local amenities have kept it steadily growing since its 19th century incorporation. Water sports and activities are plentiful in Grayslake. Summertime boating, swimming and fishing and wintertime ice fishing, hockey and skating are just a few popular activities. Grayslake's aquatic center boasts a 120-foot body slide, 180-foot tube slide, climbing wall, diving area, sand area, lap swimming lanes and more than 300 poolside lounge chairs. 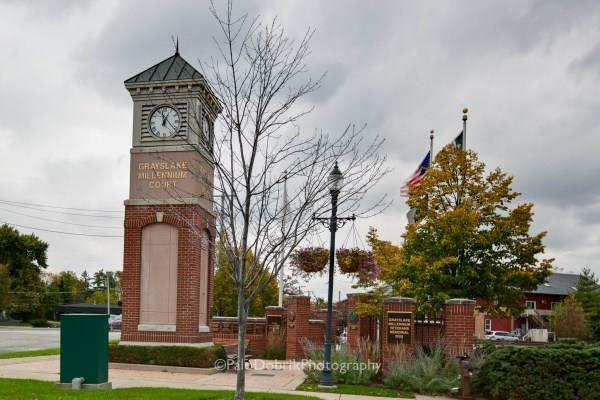 Residents of Grayslake also enjoy a 12,000 square foot skate park, community garden and numerous bike trails. 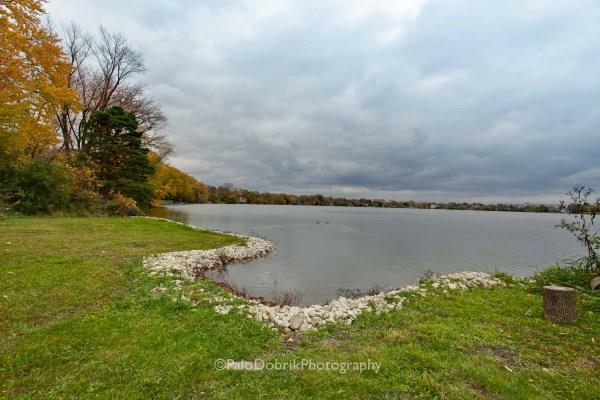 The Grayslake Community Park District manages recreational areas and provides extensive activity programs. Sports leagues for children and adults, travel programs, educational and enrichment classes, activity programs for all ages and a golf course are just some of the district's offerings. In addition to Grayslake's countless recreational opportunities, the village is home to the largest evening farmer's market in the U.S. The village's Heritage Center and History Museum is a great place to spend an afternoon, viewing historical exhibits and enjoying presentations and interactive programs. Those interested in theater and dance will enjoy the variety of performances at the James Lumber Center for the Performing Arts at Grayslake's College of Lake County. 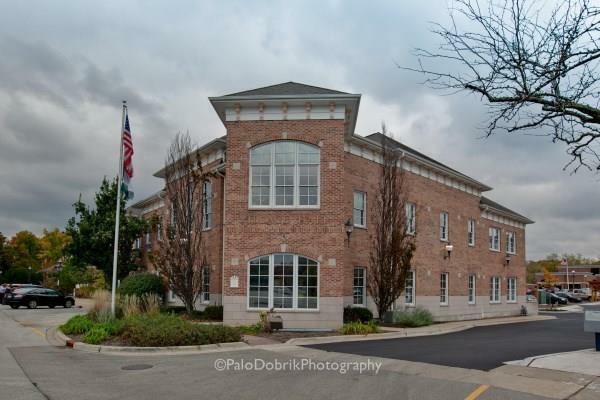 One of the town's more innovative developments is Prairie Crossing, a conservation community promoting healthy development of real estate in Grayslake, IL while preserving open space. Prairie Crossing takes its mission further with a Learning Farm, the Byron Colby Barn community center and a working organic farm. The development's homes in Grayslake, IL often are used as a national model of environmentally responsible, well-planned development. For those wanting a taste of big-city excitement, Chicago is just a 40-minute drive to the south. Events Several local events preserve the village's charm and link its past to its present. The historical society hosts an annual Living History Tour and Cemetery Walk with docents playing important figures in Grayslake history. The community is the site of the annual Lake County Fair featuring agricultural exhibits, home displays, carnival rides, delectable food and live entertainment. Other fun family events include Family Picnic Day and Fireworks, PumpkinFest and movie nights at the aquatic center. It's no doubt that the village's comprehensive programs, broad-ranging amenities and family events contribute to the community's high quality of life. Together, those elements create a dynamic, desirable place to live.